There are more putter shapes and designs out there than most golfers can count. But blade putters and mallet putters are two of the tried and true favorites of many golfers including many PGA Tour players. But what makes them decide on one over the other? What should you be looking for when picking a blade vs. mallet putter? A blade putter is typically a very simplistic and classic design with a small putter head where the shaft is attached at the heel (or very close to it). A mallet putter is usually more elaborate in design and larger in an attempt to enhance the balance of the swing and the energy transferred to the ball when struck off center. Even though putting is very much a feel thing, there are certain effects that each of these putter styles have on the putting stroke that can help or hurt your specific swing style. Mallet putters seem to become more popular every year. So we’ll start with them. A mallet putter can be similar to a blade putter as far the the clubface is concerned but there is usually a lot more going on behind the clubface. This can be any number of shapes and designs but the defining characteristic of a mallet putter is usually the size of the putter head itself. Mallet putters also tend to see more varying shaft attachments. Many have the shaft attached at the heel like blade putters. However, you can also find many center shafted mallet putters and some that even attach the shaft at the toe of the club head (although I’m not entirely sure if that then makes it technically the heel). The combination of shaft placement and varying shapes of the mallet putter heads are all done in an effort to promote a more consistent and effective putting stroke. Many will advertise that the increased size and the weight distribution makes the clubface more stable through the swing and that it can also prevent distance loss of hits that are off center. Some are so large, you can feel like you’re swinging a toaster at the end of a stick. Some mallet putters can be relatively compact in size like this Scotty Cameron. The increased mass usually helps the MOI (Moment of Inertia) of the putter. In short, a higher MOI means that an off center hit will lose less momentum as compared to a center hit, resulting in more consistent putts even if you don’t strike the ball on the center of the putter every time. Check out this great explanation of MOI if you want to learn more. All this effort to improve on the effectiveness of mallet putters seems to be working. At least according to Tour players, who usually put their clubs through some rigorous tests before using them during a competitive round. More than half of the top 50 players in the world use mallets, including three of the past five No. 1s. So if you want something a little more than the traditional blade putter then rest assured that you are not alone. Some of the best rated mallet putters currently on the market today include the Bettinardi BB Series, Odyssey EXO, Titliest Scotty Cameron Select Fastback, and the Taylor Made Spider. Blade putters are smaller and more traditional and simplistic in design as compared to a mallet putter. They get their name from the size and shape of the putter head which can resemble a dinner knife. A Scotty Cameron blade putter. Although blade putters are smaller and more simple than mallet putters, there is no lack of technology in modern blade putters. 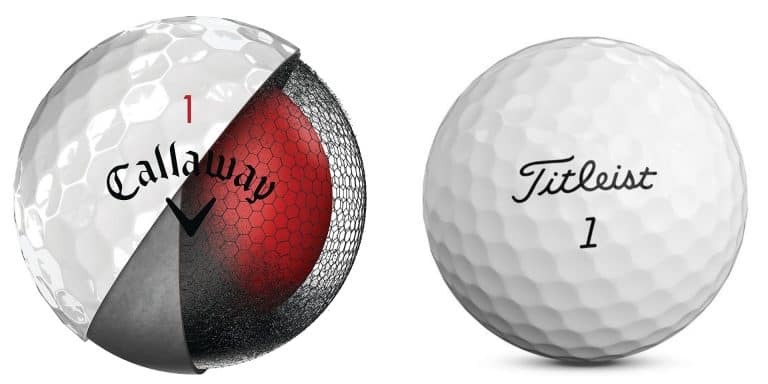 Many have cavity backs and increased perimeter weighting for better balance. There are many design factors that can go into making a blade putter as well. Hosel shape is one thing that can vary widely from putter to putter. Some may have a straight hosel and others may have an offset hosel. An offset hosel can be helpful if you have a tendency to leave putts to the right as it will give you just a little bit more room to get the putter face closed. This can be a great solution for the golfer that strikes the ball consistently and on the center of the putter face but just tends to leave their putts off to the right. Sometimes it can be hard to tell whether a putter is a mallet or a blade. Take a look at the Scotty Cameron Select Fastback pictured above in the mallet section and compare it to the Taylor Made TP Balboa right under this paragraph. The Taylor Made is just about the same size and shape (although slightly smaller), yet it is considered a blade by many (including the Golf Digest “Hot List”) while the Scotty above is considered a mallet. Frankly, it doesn’t matter. What’s more important is that you are comfortable using the putter and it works for you. Compared to the Scotty Cameron above, this Taylor Made putter is quite similar, although it is considered to be a blade putter. One of the main benefits of a blade putter is the feedback you get from a smaller clubhead. Some mallet putters are so large and perimeter weighted that you can never tell on your own whether you are hitting the ball square and on the center of the club face. Even though the big mallet putters reduce the effects of off-center hits, it is still better to become consistent with striking the ball well. A blade putter can help you with that because you can feel an off center hit in your hands. This can help you make adjustments even in the middle of a round. Some of the best rated blade putters on the market today include the Titliest Scotty Cameron Select, Odyssey O-Works Black, Ping Vault 2.0, Taylor Made TP Collection. Like most club choices in golf, this one should be based on fit, swing style, and personal preference. What kind of putter are you? 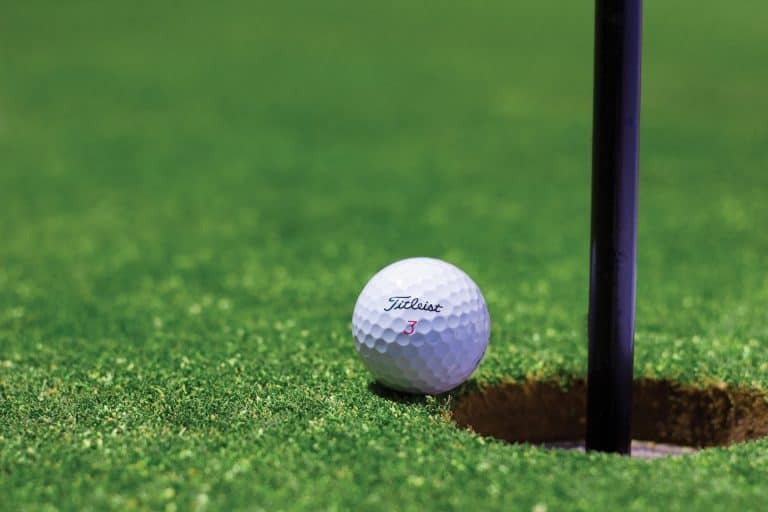 Do you want feedback on your shots so you can practice to refine your putting stroke or do you want to give yourself the best chance to make the putt on an off-center strike of the ball? But remember, getting the right putter can help but it’s not going to fix your stroke, for help with that, you should also check out my Recommended Training Aids For Putting if you want some extra help on the green. Do you have a preference? Do you think either mallet or blade putters are better than the other? Leave a comment below and let’s hear your opinion. Thanks for the summary. I have always hit a mallet putter; I switched to a blade putter for several rounds thinking I would prefer to feel the shot more. I found that the extra weight of the mallet putter and the better mishits (as you mentioned) made for much better putting statistics than the blade. The blade just “feels” better, but I think as a 15-20 handicap, it’s not appropriate for my skill level. Thanks for the comment Dan. I think a lot of players are in your shoes. The blade looks and feels good and makes you feel like a “real golfer” or something. lol! But ultimately, over time, most players see better putting statistics with a bigger putter (larger sweet spot/higher MOI). It’s kind of like eating your vegetables. It’s not always what you want in the moment, but you’ll see good results in the long run.